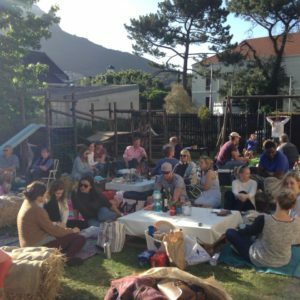 Paedspal’s first fundraiser was an outdoor picnic held in the garden of Rondebosch United Church on the 14th of November 2015. 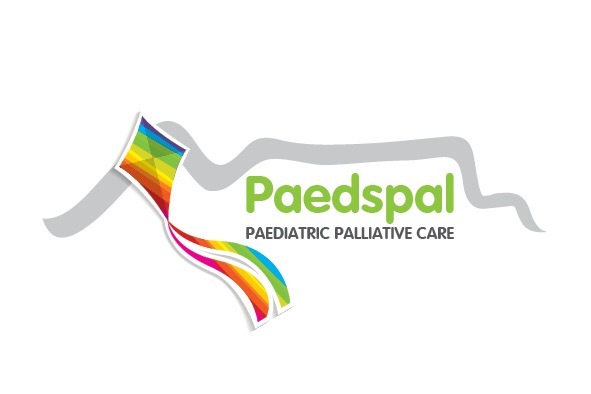 Two bands, The Stir and Majozi, very generously donated their time and outstanding talent to help raise funds for Paedspal. 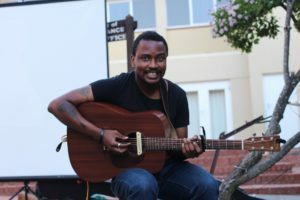 Majozi is a very well-known South African artist from Durban and his music has a strong Christian flavour to it. Paedspal received plants for table decorations from Starke Ayers and Colin and Jenny from Haytread let us use a few hay bales, which contributed to the rustic picnic look. Also available for free to our guest were cupcakes and ice cream thanks to the generosity of individuals and donors. 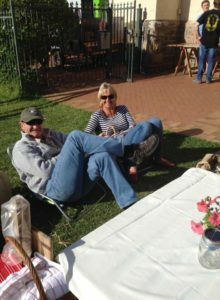 Guests were encouraged to bring their own picnic baskets and two food trailers selling coffee, smoothies and grilled foods were also on site. A variety of vouchers were also donated by the Creamery Ice-cream shop, Gailleo Open Air Cinema, Honest Chocolate, Western Province rugby club, Village Skin Care, Jordan Wine farm and Explosive Functional Fitness. 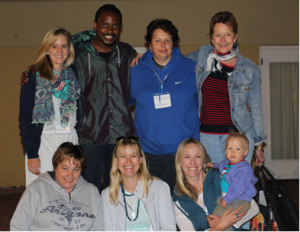 About 85 guests attended and we managed to raise R 12 000 from the event itself and a further R 18 000 from once off donations from individuals who learnt of the organisation through the exposure we received around this event.